1. Faulty production/ low production from bone marrow. The other cells like RBC's or WBC's may also be low in many cases. Bone marrow depression is caused by so many reasons like drugs, drug reactions, alcohol, cancers etc. 2. Body conditions where the platelet destruction is more than the production rate in the bone marrow. 3. Spleen Problems can also be the reason for low platelets. 4. Other systemic illnesses like Leukemias, AIDS, lymphomas and different types of cancers can also be the reasons for low platelet count. Usually steroids like prednisolone and immunoglobulins are prescribed by modern medical practitioners.They are often given via Intravenous route. Alcohol should be avoided at all costs..
Papaya leaf juice- An excellent herbal remedy for low platelet count. It should be taken every 2 hrs interval ( about 20 ml juice of papaya leaves) and this helps to increase platelets within 1 or 2 days. This is an effective herbal remedy for low platelet counts. If the patient is a child - then I would prefer Arvindaasav instead of Pipplayasav and add Kumar Kalyan Ras in the package below. ---------------- Mix all these, Make 60 equal packs, of equal dosage, consume 1 pack twice daily with honey. For Children of Age 9 to 17, the dosage will be half of everything mentioned here. Tab. Swarn Basant malti Ras - 1 tab. once daily. Tab Balark Ras - 1 tab. once daily. Tab. Kumar Kalayan Ras - 1 tab. once daily. Tab. Kamdudha Ras (Moti Yukt) - 1 tab. twice daily. Cap. G-Plat - 1 twice daily (open up the capsules, pour the ingredients in a bowl, add some honey and feed). Syp. Infee - 1 teasponful twice daily. Syp. Immuz xp - 1 teaspoonful twice daily. i have a problem of low platelets, but my all test are negative e.g cancer, aids etc. every thing is fine and my docter said tis problem is because of ur bad luck, problem is in ur immune system and spleen is coinfused because your body make platelets but antibodies cover all platelets and spleen is confused, it damaged all platelets. Information you provided here is much more than what I could appreciate. I am a researcher in Cleveland Clinic, USA, my brother just suffered low platelet count due to viral infection and I have been searching immensely on internet for increasing platelet count naturally but anything harldy helped unless I ended up on this page. It helps a lot. I thank the internet which has enabled people to read about almost everything and has helped a lot of people contribute to a common research. The various formulations are used in ancient ayurvedic healthcare system of India for increasing low platelet counts. This has helped a lot of people suffering from many similar cytopenias and leukemias. I am glad that I am able to use these in my patients. Beetroot juice is also a good remedy for Low Platelet count. I recently found that Kiwi fruit is also very useful herbal remedy for low platelet count. I am thankful that I came accross Dr. Vickram's website. I have been researching ways to increase my son's (5 years old) platelet since it has been decreasing due to his illness, leukemia. I read that giving him papaya juice will increase it and sure enough in 4 days when we checked his platelet it increased significantly. I thank you so much. Papaya juice really increases platelet. Thank you so much Dr. Vikram for being so helpful. Thanks Arlene ! Your feedback will be important for others as this may help others to learn from your experience. Please take note of a correction I need to make in my earlier post about increasing platelet. It isn't "papaya juice" but PAPAYA LEAF JUICE that helped increased my 5 year old boy's platelet. Also I am giving him beetroot juice and kiwi fruit as you suggested. Once again thank you so much for your help. Thanks Arlene for correcting it.. Even I did not notice that you mentioned Papaya juice or Papaya leaf juice and I published it on my blog. Yes, the papaya Leaf Juice is effective in increasing the platelet counts. i have a problem of low platelets, but my all test are negative e.g cancer, aids etc. every thing is fine and my docter said this problem is because of ur bad luck, problem is in ur immune system and spleen is coinfused because your body make platelets but antibodies cover all platelets and spleen is confused, it damaged all platelets. The above post about low platelet count treatment in ayurveda explains everything. please read above about it. The low platelets counts respond to papaya leaf juice, wheat grass juice, beet root juice - all fresh - 20 ml - 30 ml daily.. Also use the above ayurvedic medicines for low platelet count mentioned in the blog post above. if you want them, you can write to herbalremedies123@yahoo.com for pricing and delivery information. For low platelet count - The papaya leaf juice is an effective treatment. I am talking about Papaya leaf juice and not papaya juice. You have to make it fresh every time and it is not available over internet or sold by anyone but you have to make it yourself from fresh papaya leaves. Read all the above posts if someone is suffering from low platelet count. I hope they are useful for you. I am glad I had the chance to visit your blog and read about the remedies you mention on low platelet count. However, I have a question related to the fact that an effective treatment are the papaya leaf juice. I leave in Europe (GREECE) and have searched the entire markets but could not find any fresh leaves. Even, if I order them on the internet, from some producing countries, by the time they get here they would be spoiled or dried. Online there is the option of buying papaya leaf powder. Could this be an alternate for the fresh juice? I would greatly appreciate it if you could let me know of my options at this point. How about using dried papaya leaves to increase platelets? What kind of dosage should be used? in order to make to make the papaya juice do I need to boil the leaf and grind it to make the juice? Is'it safe for my child age 2 years plus to take the papaya juice after going through bone marrow transplant which is a failure for him. hi. I am from Romania and my child age 6 months has low platelets.... How much should I give him? I don`t know where I will find leafs... but I must handle it. Thanks for sharing this free! my friend(23 yrs) is suffering from thrombocytopeniya from last month.Our physician check her every week nd every time blood reports show low platelets and they d'nt know the reason. All other reports are negative. We live in Canada and fresh papaya leaf is not available here. So can we start the beetroot and amla juice with ayurvedic treatment that you mention above because our parents can parcel that ayurvedic medicine to us from india. Good afternoon Sir, Dr. Vikram. I am Ivy Angeles from Philippines. I just want to ask for you assistance Sir about my mother. From January 15, 2012 up to this day (January 19, 2012), she use to go to a small medical laboratory to check his blood showing she has a low platelet counts. Each day it becomes lower and lower. But they said she is negative to dengue and her hemoglobin is okay. She was advised to go to see a specialist in blood, the Hematologist, but sad to say the doctor was not around and let her come back on January 24, 2012. I am kind of worried about the situation, and I wonder we can not be able to wait until Tuesday (Jan. 24) for her next check up. I started research from the internet about the diagnosis behind the low platelets. And I am very much worried about this ITP. Some of article I have read it needs prednisone or chemotheraphy. But as far as I know I feel that our creator created a natural resources to make it as human's natural remedies and medicines. Please help what should I do. I will wait for your reply Sir. I really need your help. Thank you. Hello Dr. Vikram ..I (46 years old) have been diagnosed with low platelet counts currently around 76,000. My platelet count was first noticed low back in 2006 and ever since it has cycled up and down. I am not sure if it is thrombocytopenia or something else. My RBC, WBC etc are normal. My blood glucose numbers are towards higher end of normal range somewhere around 96-108. Would this medicine with Honey will cause my glucose go up? If I take the above described medicine that I see you suggested one set with Aswagandha and other with the mixture 60 packs and Papaya, AMLA juice. Do I have to take all this everyday? And how long I should take this? Is this medicine for life long? Should the Papaya leaf juice be taken only for two days then stop? I am in USA. How do I get all this? Papaya juiceCan you please reply my questions. hi as I am getting a lot of queries about role of papaya leaf juice in low platelet counts or Thrombocytopenia. I recommend fresh Papaya leaf juice rather than Papaya juice. There is no company making papaya leaf juice, so only the fresh is recommended if you have any papaya trees growing around your areas. Otherwise, you may need to use the other remedies which I have mentioned in the blog. All these remedies are not having any side effects and can be consumed with any ongoing treatments for low platelet count due to cancers, bone marrow depression, drugs sensitivity, spleen problems or any other reasons of thrombocytopenia. At this site I can answer the generalized queries which are useful for everybody, but if you want specific answers relating to your problem, you may need to write to us at - herbalremedies123@yahoo.com We can send many ayurvedic medicines, herbal supplements to everywhere in the world including USA. 12 Lb Pomeranian diagnosed with Idiopathic Thrombocytopenia, Not responding well to prednisone effects...... Looking for alternative to prednisone, & purpura relapses. So far 3 bouts of Purpura in 2012. Going to try Beet root juice, as is readily available here in S. Calif. 1 tsp a day with meal. Hope it works. Also give wheat grass juice if it is not available, give plain grass juice. Share your experience here as it will help others also suffering from ITP. Thank you Vikram Chauhan for your site....... I have also read about Dengue fever & a weed that grows readily available for those that may need it..... My hope is that more doctors will walk in the way of Hippocrates/ Thank you again. I will try Beetroot for our canine friend,& once again remove the prednisone. Her last CBC showed Optimum levels, we also gave her Turmeric,milkthistle & banana. My Name is Asif and i m from Pakistan. My wife is suffring with low platlets since last four weeks.... we also have gone through the transfusion of two units but still her reports shows 18 x10E9L but the remarks were written "Large Platelet seen"
Can this therapy be used for dogs also. We have a dog 48 lbs weight. Been diagnosed with thrombocytepaenia - platelete count very low. On prednisone & other immunosuppresants. Please recommend dosage of this natural treatment, i prefer natural remedies to allopathy. My father in law (77 years) is suffering from MDS (Myelo Displastic Synodrome), a type of Blood cancer. Seven years back, he had undergone bypass surgery for the heart and was leading a normal life after that. He also had prostrate cancer 2 years back and was completely cured using Laser treatment. Two months back, he had Left ventrical dysfunction and has almost bedridden after he got discharged from the hospital.Due to all these issues, doctor has adviced him not to go for chemotherapy. He first had his Total counts as low as 1.5K. After transfusions, it has improved to normal. His RBC is low around 9-10. When it drops to 7.5, we are giving PRBC transfusions. When the platelets count come down to 30K, we are giving platelets transfusion. Now we are giving him papaya leaf juice and platelets seems to have recovered to 1 Lakh. But still the RBC is around 8 only. Is there any natural medicine like Beetroot juice or Haldi to take care of his RBCs. and also to reduce his tiredness and increase the strength? We are looking at alternate medicine to treat him for these health issues. Are you planning to visit Bangalore this month? If not, do you advise any good Ayurvedic Doctor who has succeeded in this kind of treatment preferably nearer to Bangalore. Your suggestion is much appreciated and valued. I have also suffering ITP, since nov 2011. in may 2013 i checked my count is 120000 but still red spot come in my hand & leg. This is for my 4 years old child. He is severely affected with ITP. All tests are conducted and found it is chronic ITP. His platelet count is too low and now it is reached up to 2000. He was admitted at hospital and took Immunoglobulin 3days and as two weeks.At the time of treatment the count is raised to 3Lakh and again immediately down to below 20,000. after 1 week again started to give prednisolone with 4 days for 3 weeks.Each time after 4-5 days after medication it comes down to 3000-7000. Doctor asked to continue 1 more course of prednisolone. We are now at Saudi and Papaya leaves are not available here. Please give me an immediate reply regarding the treatment. can i use papaya leaf juice in dogs for thrombocytopenia? is it safe in dogs? please reply ... my pet's platelet count is 25000, plz help.. can i give kiwi to him? witing for your reply.. thanks. I think, if papaya leaves are not available, you can take Papaya (Carica Papaya ) Leaves mother tincture manufactured by Dr William Schwabe or Dr Reckeweg & Co and take two drops in half cup lukewarm water two/three times a day. It will give the same result as fresh papaya leaves. My mothernis 59yrs old and she is suffering from Thrombocytopenia and her platelet count as of today is 20000. Please advice for how many days does she need to take papaya leaf juice and the dosage at the earliest. hello Mr. Bhargahav, I have already mentioned the treatment above.. She can take these.. contact Ashwani ji to get these remedies.. Also give her G- Plat Capsules..or Wheat grass, Giloy, Papaya Leaves juice, Beet Roots..
Hello doctor , my sister is 27 years old and she is suffering from low platelet count.she is under treatment with steroid capsules.now her platelets count is ok.I want to know as the steroids stopped again her platelet count becomes low? am amit .my wife age 28 is suffering from ITP since three months.. Bone marrow report says platelates are being produce however dying down..Doctors have given steroids ..but she has not yet started taking it..
We have not plan baby because of above reason..
Can pappaya leaf juice be given for elders of age 60 if platelet counts is as low as 2000. Doc has given cyclosporine and revolade tablets for cure of hypoplastic bone marrow. My 3 year old son has been diagnosed with ITP. His current weight is 14 kg. The RBC and WBC and hemologlin are in normal range. Please suggest, what we treatment we can give for him. We tried to search for papaya leaf fresh - but we couldnt find in Dallas TX. My 3,4 year old son has been diagnosed with ITP. 8 month ago. cranberries.From this plants can you make a tratment. I am Qaisar from Pakistan. My wife got ITP from 1st May 2014. Her lowest platelets on 1st May 2014 were 19000. Now they are increasing and decreasing. She is using Deltacortil 50mg daily. Can you suggest something to us so we could get out of this situation. Also please can you tell me that usually how much time ITP lasts. I mean how much time it takes for the platelets to come on routine. My mother is suffering from low platelet count, low TLC and low hb from last 6 months. Repeated blood transfusion of 2 units is needed after every 15 days. She had taken Folitrax 10mg per week for 3 months last year. She is having her treatment from PGI, Chandigarh from 6 months and is given Cyclosporin 150mg and Danazol 200 mg from about 3 months. But there is no satisfactory result. Do you have any suggestions for Neonatal Alloimmune Infant Thrombocytopenia? I have antibodies that destroy my baby's platelets in the womb causing low platelets and putting them at risk for a brain bleed even in the womb. Once they're born and my antibodies clear their system they're fine. I'm not comfortable with IVIG and prednisone so I was wondering if you may have suggestions. My platelets are fine but I worry for the baby. Dear sir I am suffering from ITP since 28 Oct 2014.Presently my platlet count are at 37000.I am on prednisolon 17.5 mg. I am taking aonla aelovera juice, Giloy juice daily twice.Is there any treatment in with you.Have you treated any such patient earlier. I had heard from my mother this treatment of papaya leaf juice. If it is ITP then how long the treatment should be continued. You can take for few days or depends how your body requires. Here my dad is causing the same problem of low platelet count .Dr advice to take sefixime tab can we give him the papaya leaf juice with the same. Is that he has any remedies for this trouble except dialysis??? my 21 months son is suffering from Chronic ITP, & He has just given a IV Gama injections Treatment now his pltlate count is 254000.
but Dr is not sure how long it will lasts, at the fime of hospitalization his count was 10000 only & this was his second time of hospitelization in in single month 1st time Dr treated him with mythelprednesole injections. do we have any guaranteed herbel remedy to avoid such kind of hospitelizations. I tried papaya leaf juice and it was effective. I pray not to affect with this disease again. But I will definitely suggest this ayurvedic pack of mixture for dengue affected people. Is ashwaghanda safe for those who deal with chronic reoccuring ITP? It's a very nice article,. Please write me at herbalremedies123@yahoo.com with all her reports. I will guide her with some herbal remedies. 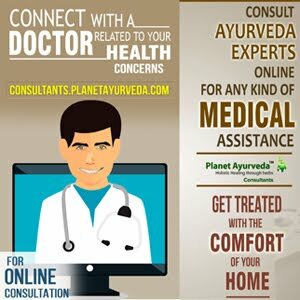 My mother has a problem of itp (low blood platllets).we went to chandigarh pgi doctors tells us there is no treatment for itp.i searched your website planet ayurveda in which the ayurvedic treatmennt is available.the blood platlets count is normally 20000 to 30000.doctor tell me that now what i do. My mother is suffering from Chronic Renal Failure. She is on dialysis from last 3 and half years. Before dialysis, creatinine comes around 9 - 10 during testing. Apart from creatinine, Blood Urea and Phosphorus etc usually found above the average ranging. Please suggest us if Ayurvedics help her to remove or lesser the repetition of dialysis. Also, today only my one relative got admitted in one hospital due to high levels of potassium and creatinine found during testing. She is already suffering from poorely controlled diabetes. Now doctors are insisting for dialysis trearment. Please advise on the both cases. Your advise is very very important for us. My brother is suffering from liver cirrohsis & spleen enlarged by 21.5 cm as per fibroscan reeport & CT Scan. Currently he is taking Alopath medicine NUSAM 400 mg for liver but Dr. did not prescribe medicine for spleen. My brother is loosing weight everyday. He is very weak. Age 26 yrs. Weight 54 kg. Height 5.7 cm. I m sorry to say as my brother doesn't beleive in Ayurveda. But my family is very aniexious for his health. Please suggest us a way so that I can convince my brother Or can you give me any other patient no. Who is taking your medicine & has got recovered so that I can ask my bro to talk so that he can have some faith & pls email me on deepakkumar51125@gmail.com. I'd be very thankful to you & you are such a great personality who is taking care of people thru internet without any charge & promoting Indian Ayurveda power. You can take Mutrakrichantak churna on regular basis to manage fluctuation of creatinine. Keep taking ongoing other allopathic medicines. Hello doctor, my daughter is 3 yrs and weigh 11.5 kg old affected with acute ITP and was hospitalized for a 5 days given with IVIG dose for 2 days.. Her count increased from <5000 to 1.24 lac. When and How much papaya leaf juice shud be given to her. ? Please write us in detail with reports at herbalremedies123@yahoo.com accordingly we will guide you. My daughter is 3 yrs old weighs 11.5 kg she is suffering from acute ITP. She was hospitalized and given Ivig dose for 2 days. Her count increased from <5000 - 1.24lacs. When and how much papaya leaf juice shud be given to her? Can the juice be stored ? If so where and how many days it can be stored?